Chef Jason Kerr serves food truck fare in a fancy setting. 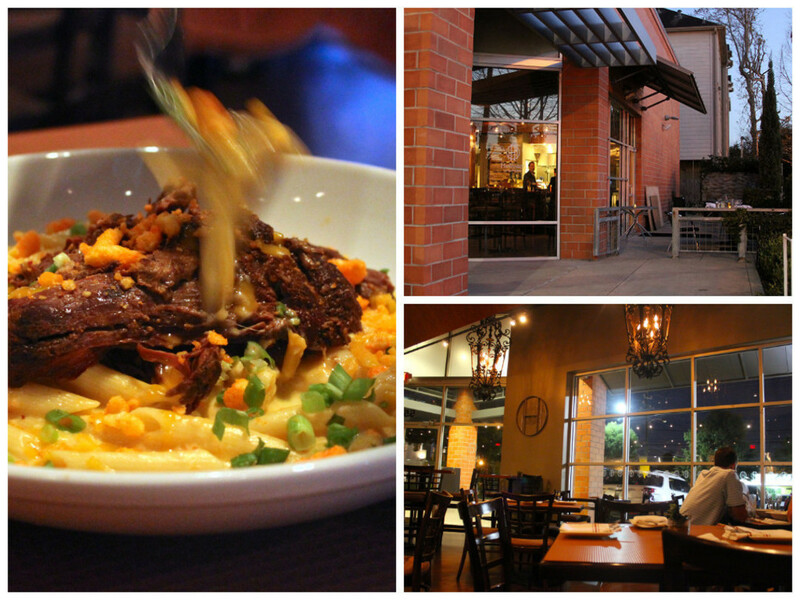 Cheetos top the short rib with macaroni and cheese at Hollister on Washington. There were crushed Cheetos sprinkled with flair across the top of my dining partner's macaroni and cheese, the knobbly cheese chips in stark contrast to the elegant tubes of penne pasta below and the sumptous mound of short rib that garnished the entire dish. On my own plate, an indecently large piece of New York strip steak was burnished with the deep red hue of a Sriracha demiglaze. 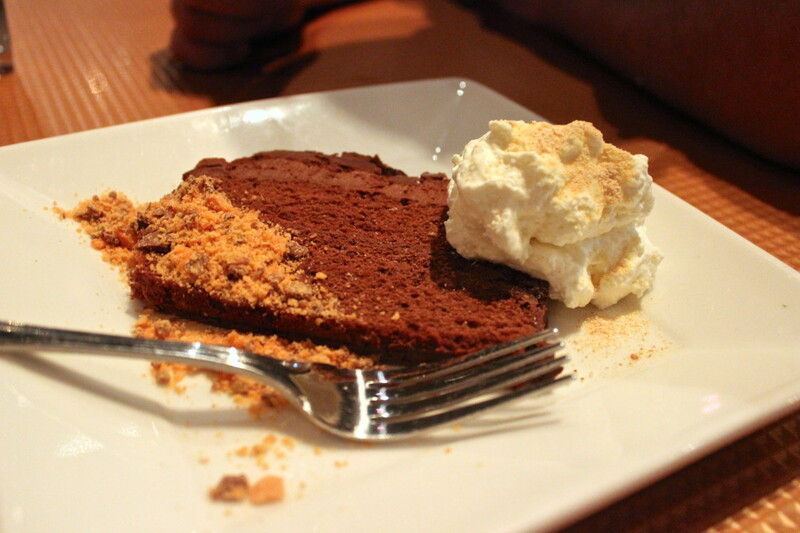 For dessert, a crumbled Butterfinger candy bar—looking for all the world like the fancy "dirt" used in so many modernist cuisine platings—was scattered alongside a chocolate mousse cake and a foamy mound of something called "pretzel creme." This is not your mother's Hollister Grill. 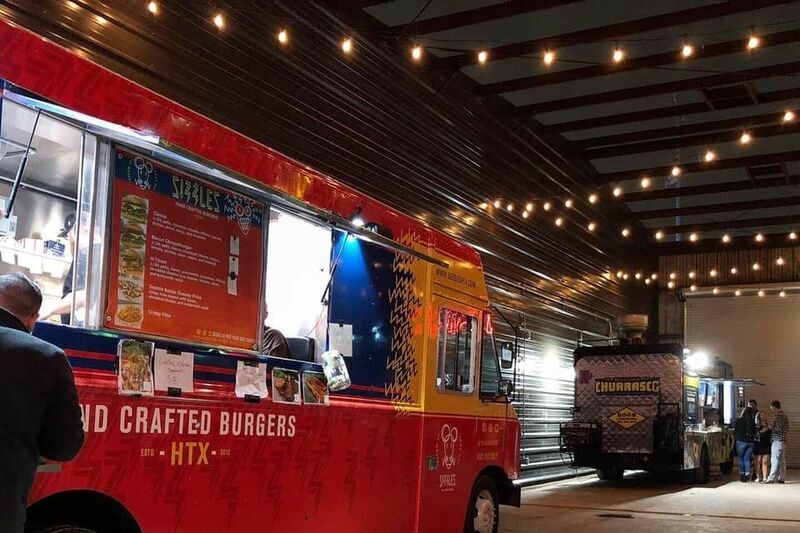 This is chef Jason Kerr's food truck fare—perfected inside the cramped quarters of his now retired truck, Zilla Street Eats—elevated to upscale dining here at Hollister on Washington. 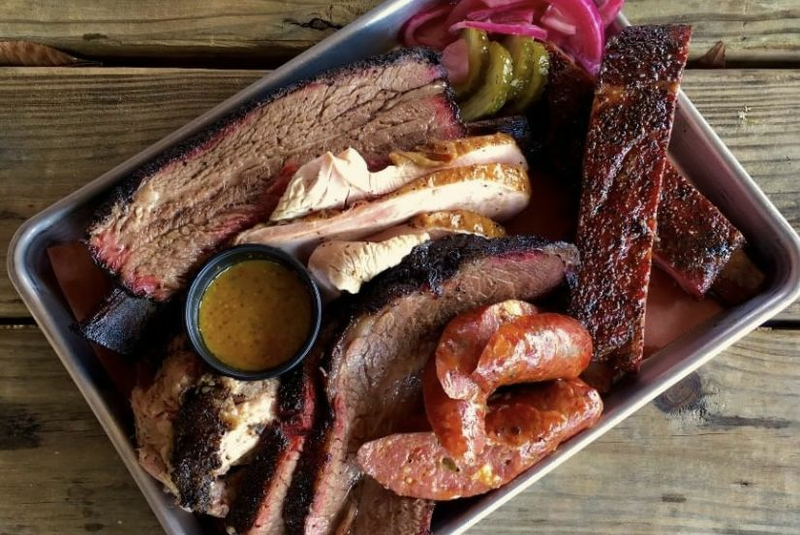 The original has operated quietly in its flagship Spring Branch location for years under the watchful eye of owner Chuck Pritchett; this new incarnation opened in March. Pritchett's straightforward food at the original Hollister Grill speaks to a more settled, more suburban yet still refined palate: country-fried rib-eye steak with jalapeño gravy, crab cakes, pan-seared red snapper with corn risotto croquettes. 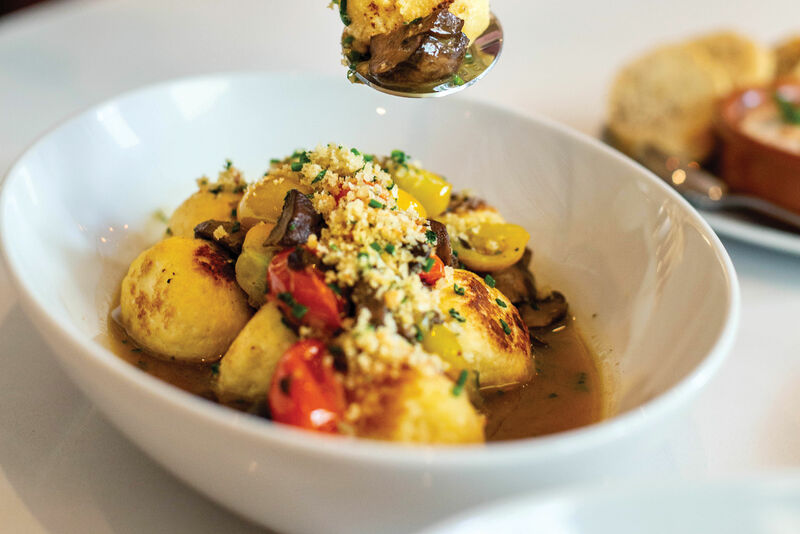 And although those dishes are also on the menu at the second location of The Hollister Grill, Pritchett has wisely let Kerr have creative control over a few signature dishes of his own—the better to compete here along the restaurant-saturated Washington Corridor. 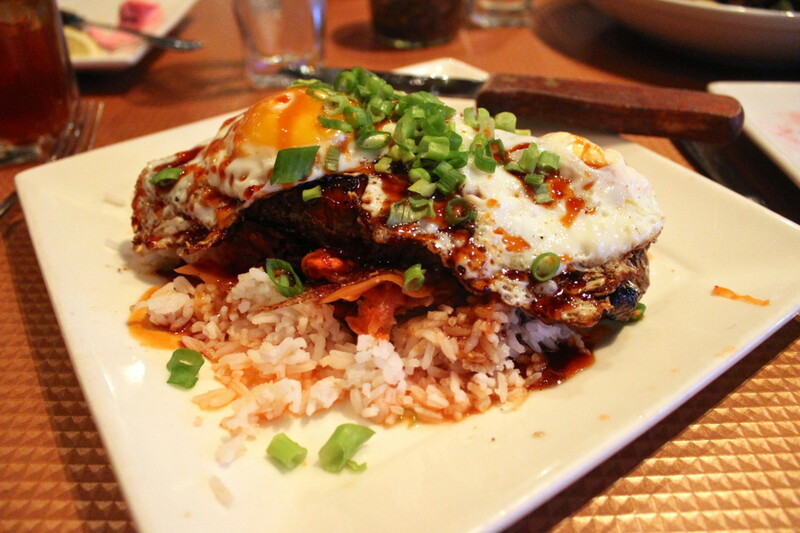 Korean steak and eggs comes with plenty of spicy kimchi to kick it up. Next door is Coppa, where chef Brandi Key packs them in even on the sleepiest Tuesday night. Across the street are well-established crowd-pleasers such as Benjy's and Candelari's Pizza. 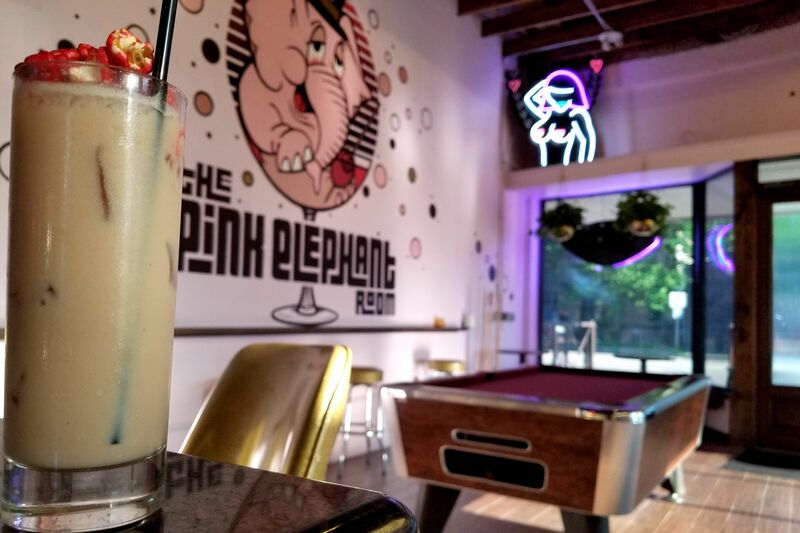 Down the road are heavy-hitters like BRC Gastropub and the up-and-coming Federal Grill. Hollister Grill needed to serve more than chicken-fried steak to set itself apart. Hollister was already out of the Shipley do-nut bread pudding, but the chocolate mousse cake with crushed Butterfingers was a solid runner-up. "This is where I'd take someone who wanted food truck food but wanted to sit down," mused my dining partner. "In the air conditioning. With beer." As with the original location, the Hollister Grill on Washington is BYOB for a small corkage fee. The dishes aren't much more expensive than what you'd find on a truck, and the ability to bring in your own wine, beer, or soju—which the table full of Koreans next to us was enjoying with their chicken-fried rib-eyes and Korean steak and eggs with vivid kimchi—keeps the total bill down considerably. While the restaurant is still in its infancy, there are a few kinks to be worked out, such as the addition of something bright or spicy to cut the richness of that short rib mac 'n' cheese or cooking that Korean steak just a wee bit longer. Luckily, I'm not the kind of person who cares if my meat comes out undercooked—the bloodier the better—and, frankly, if you're the kind of person who's choosing to eat Cheetos at a nice, sit-down restaurant, chances are you're not going to quibble much over the balance of acidity in a dish.